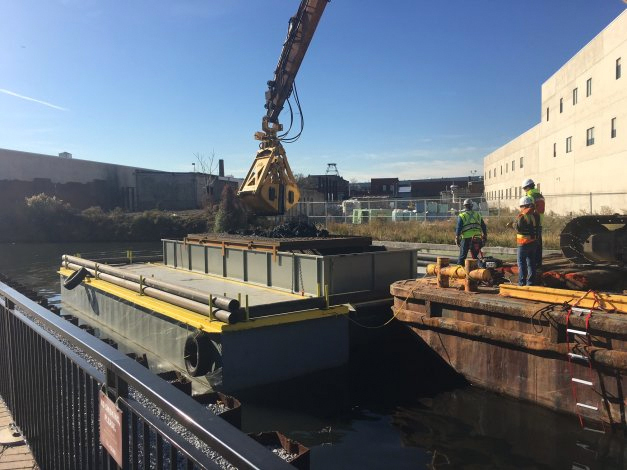 Sevenson Environmental Services has completed a project to remove debris and collect sediment from a segment of the Gowanus Canal. The project is part of a pilot study required in the Environmental Protection Agency’s (EPA’s) Record of Decision (ROD) for the cleanup of the 1.8-mile-long, 100-foot-wide canal in Brooklyn, New York. The pilot study began the last week of October and ended on November 14 of 2016.